We get it — Starbucks is easy. But it’s a shame to stick to the ‘bucks when you live in a city with (almost) as many independent coffee shops. You know, the kind that have the hip, one-of-a-kind feel that Starbucks tries to imitate? 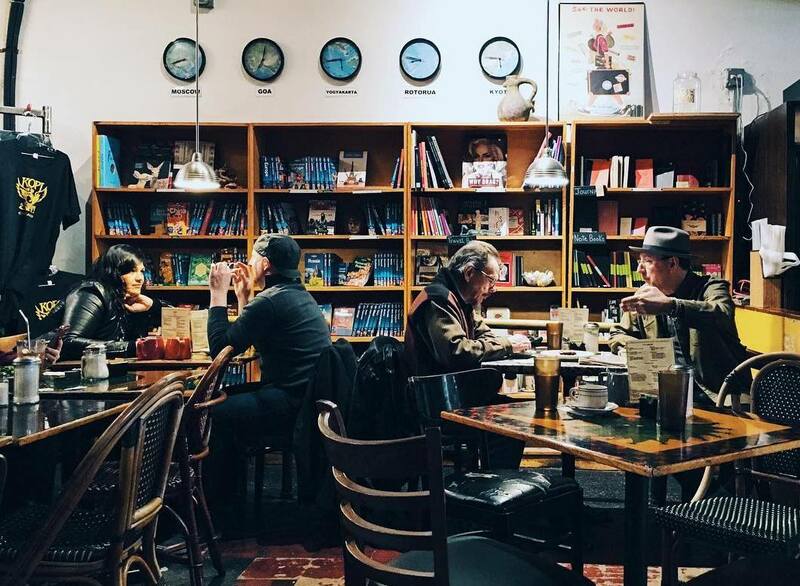 From places to pick up a locally-made roast to stay-there-all-day-with-a-book hotspots, Chicago is home to some of the coolest coffee shops. Here are a few of our favorites. 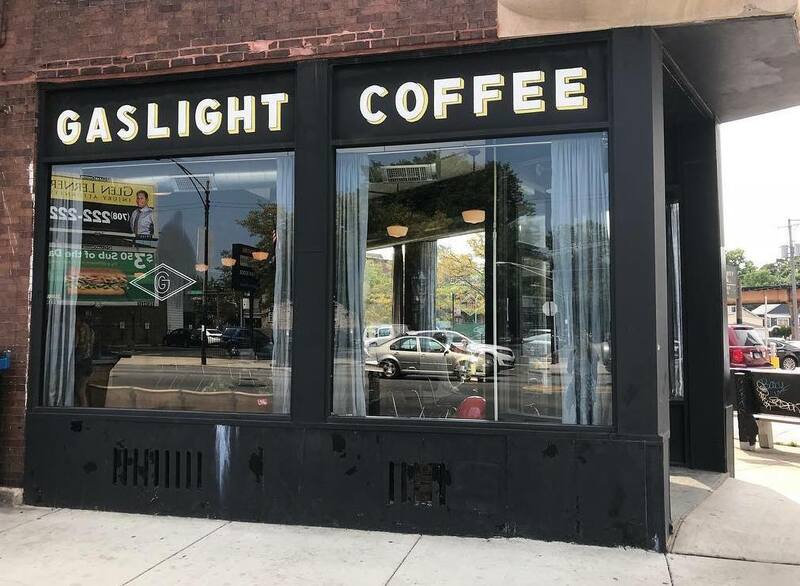 Right off the Chicago Blue Line stop, Big Shoulders roasts its beans on-site and serves some of the most incredible blends you’ve ever tasted. 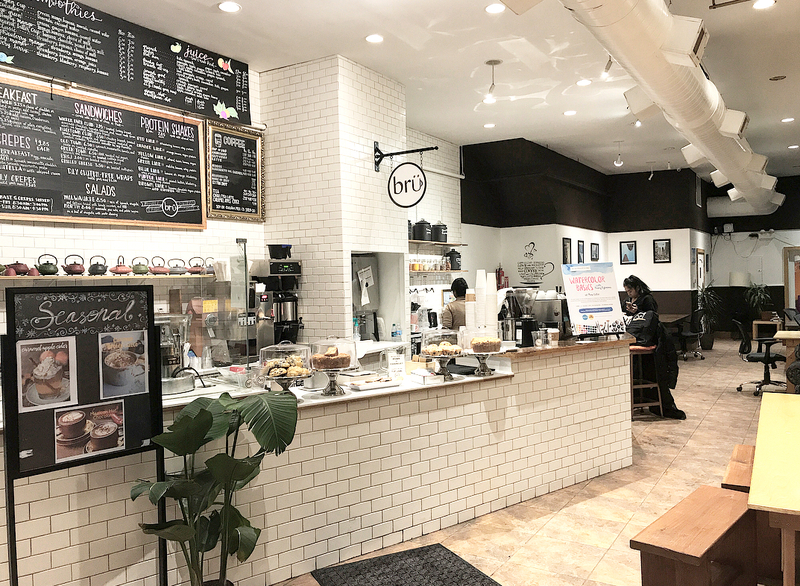 While the Noble Square store itself is modern and inviting, the staff brags that they can get hurried customers in and out of there in four minutes — even during rush hour! If you are able to stay a while though, they also do free coffee refills and offer amazing coffees that can be brewed using technologies you are likely to never have known existed. Can’t get over to the Noble Square? They have four other outposts that are just as good. 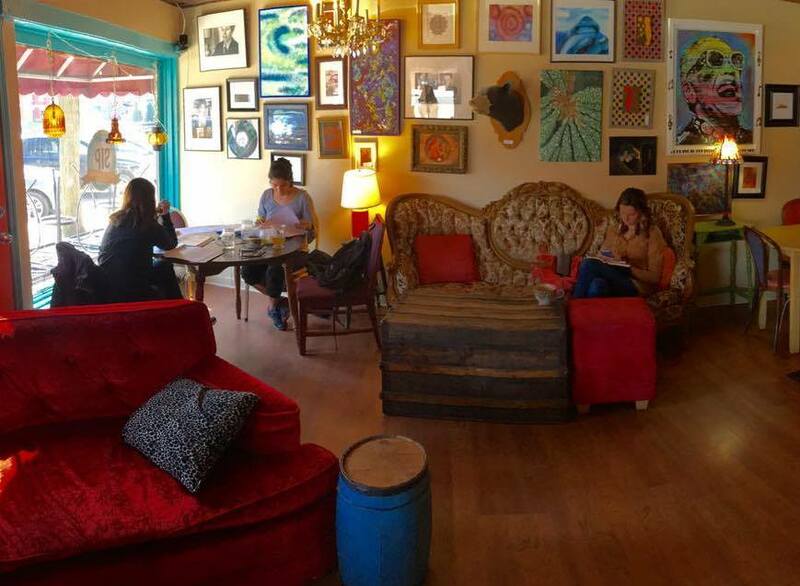 Get ready to go back to the 1980s with this Wicker Park coffee shop. We bet you’ll be nostalgic with posters of Indiana Jones, Ghostbusters, and Beetlejuice; board games you haven’t seen in years; and a Back to the Future-inspired car. When it comes to the coffee, you’ll never get bored — the shop features a new guest roaster every month. This space in Noble Square used to be a single-family home. While it has since been converted into a cool, art-filled coffee shop, there’s still a home-y feel. Plus, with an entire house and gorgeous backyard filled with seating, you’ll have no problem hanging out here all day, especially during the warmer months. Situated on Milwaukee Ave. in the heart of Logan Square, Gaslight is hipper than hip. With taxidermy, funky wallpaper, and reclaimed wood, it could be right out of a Portlandia episode. Which we have to admit is kind of charming. Did we mention how good their small-batch coffee is? Get some black coffee in the store or pick up a bag for home. Nobody can talk about Chicago’s local roasters without mentioning Intelligentsia. 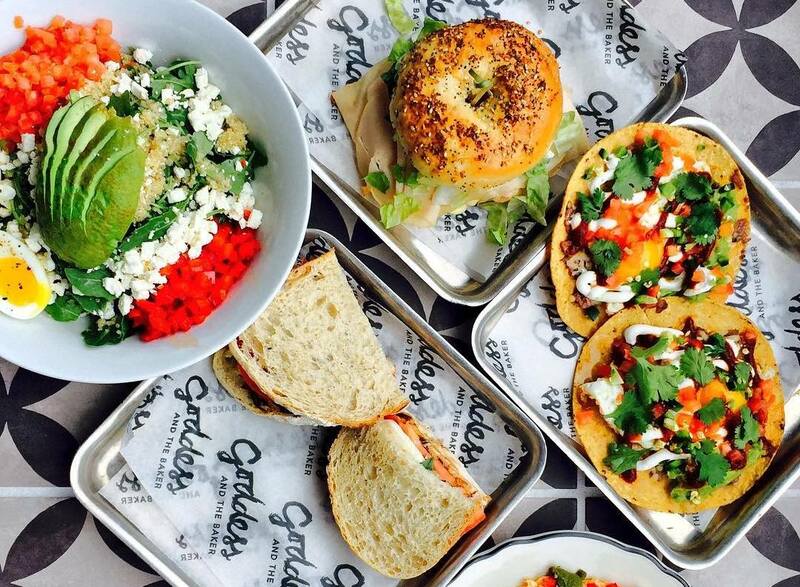 Their roasts are all over the city, and so are their shops, located in Lakeview, Wicker Park, Old Town, Logan Square, the Loop, and even Millennium Park. Expect baristas that are serious about the brewing process… and a lot of Chemex brewers. Goddess may be known mostly for its rainbow cake and Tiffany blue cups, but the coffee inside of those cups is straight up solid. They always have a light and dark roast on-hand from rotating roasters, like Bow Truss, Metric, and Colectivo. And good luck avoiding grabbing a little yummy to go with your cup of joe — their display is always overflowing with delicious baked goods. Coffee and bagel shop, pizza restaurant, bar — this Logan Square spot is really whatever you want it to be. 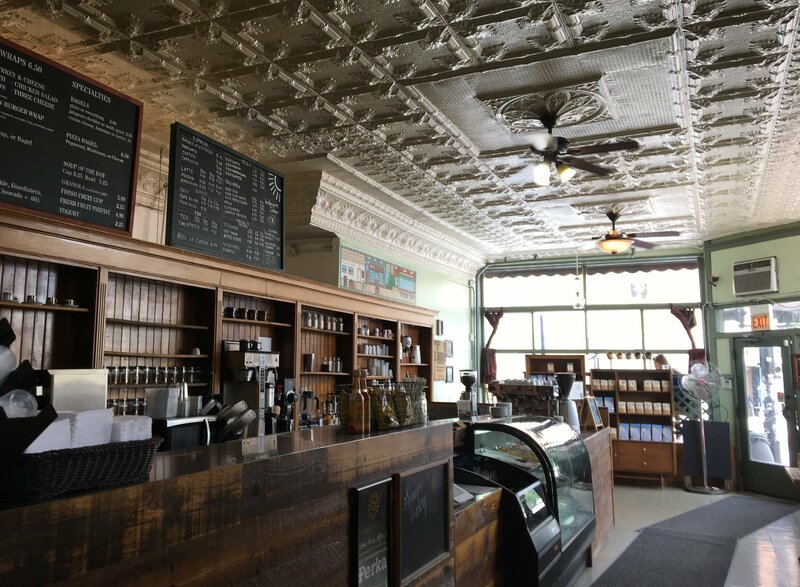 If you’re looking for a midday spot to sip on a (bottomless) cup of their specialty Reno blend (roasted by Dark Matter) and munch on a bagel sandwich, take a seat in this spacious and sunny space. Fitt Tip: Get their lox bagel for piles upon piles of fresh Alaskan salmon. 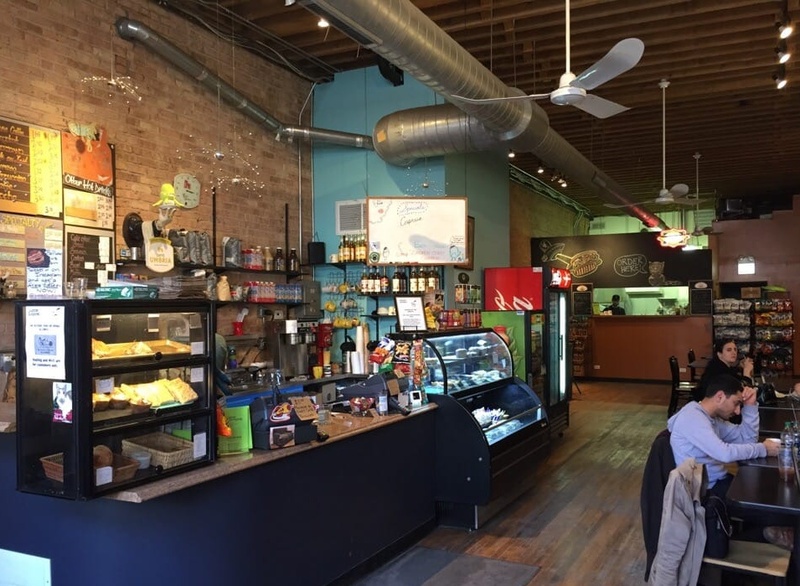 Amazing coffee and fresh juice make Brü a favorite of caffeine-loving vegans in Wicker Park. 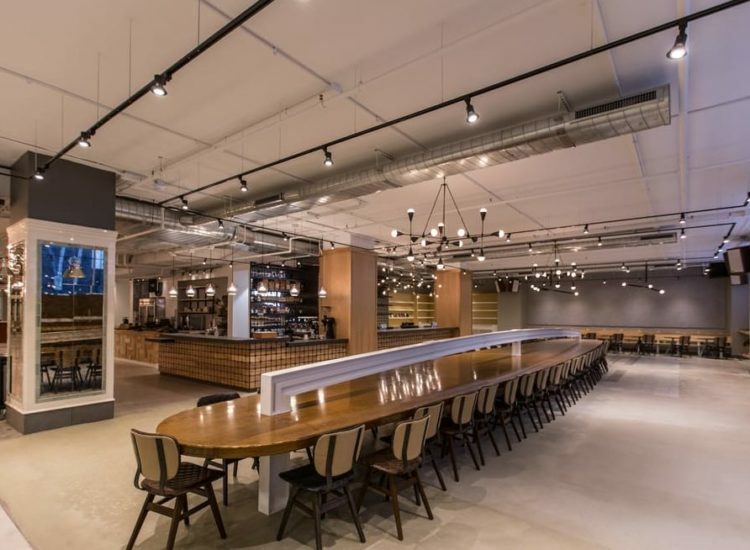 And not only is it a coffee shop — if you wanna take your work out of the office, Brü offers coworking space that you rent by the day or the month and which comes with, of course, unlimited coffee. 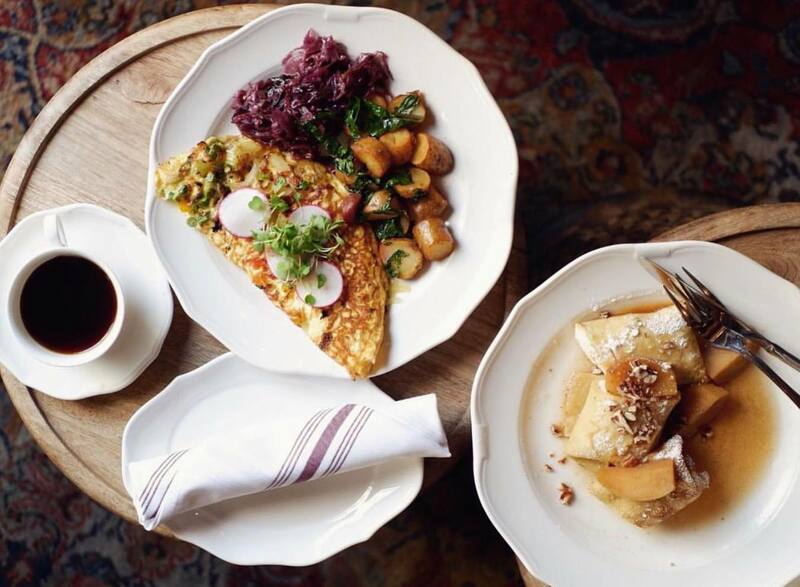 Inspired by Viennese coffee bars, this chic Lincoln Park coffee shop has a decidedly European feel. Enjoy sustainably-sourced Metropolis Coffee in a quiet and minimalist two-story building. On a nice day, make your way out to the shop’s peaceful patio. Our advice? Try their caramel latte. With four locations throughout Chicago’s Southside, Bridgeport is bringing single-sourced coffee to the Windy City. Their award-winning coffee is roasted with a unique fluid-bed roasting system, which means the beans are not exposed to metals that can burn. Not to mention, the company maintains direct relationships with their coffee farmers, ensuring that they are knowledgeable about every roast. Enjoy it in one of their shops’ cool and casual environments. 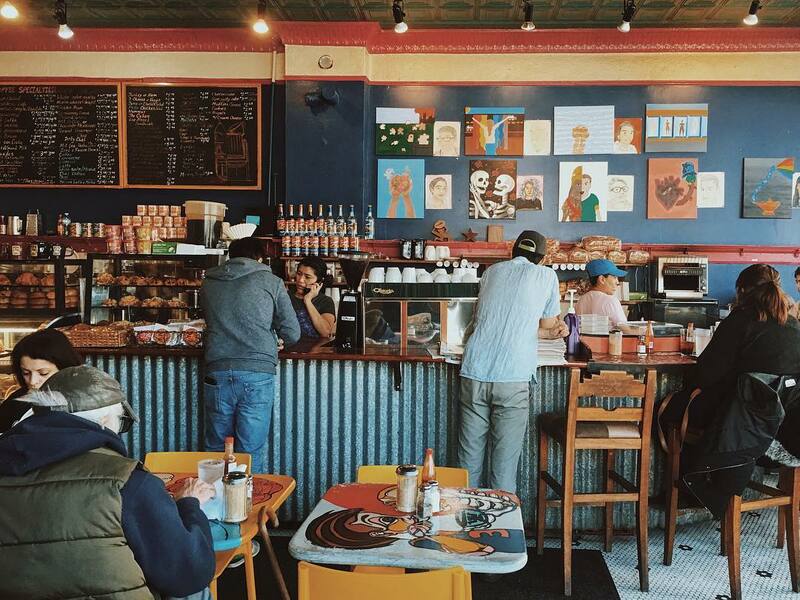 We love lounging around this cool Andersonville cafe with an amazing espresso drink. With its international vibes, this spot goes way beyond your average coffee shop. You can purchase coffee in bulk and other treasures in boutique filled with travel books, artisanal textiles, and more. And swing by on Monday nights for live performances! Created out of a collaboration between a dining consultant and coffee roaster, Hero is brewing killer coffee and chef-inspired food. 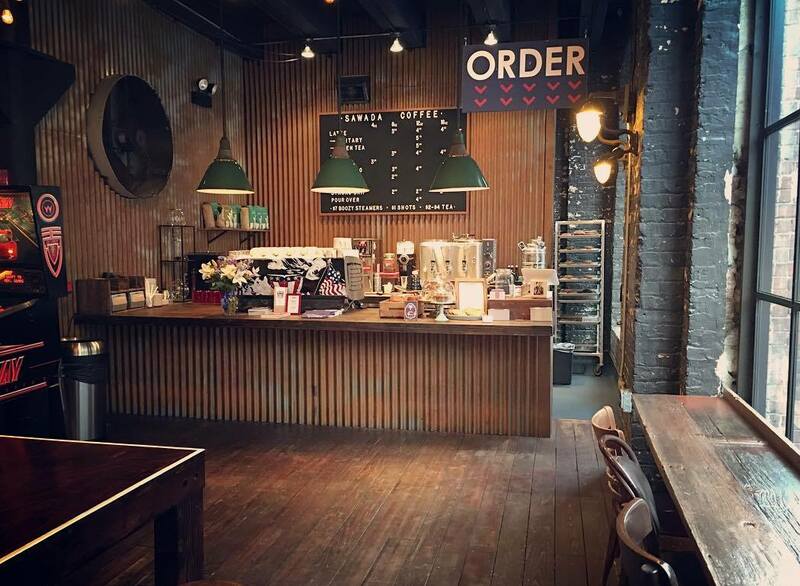 HERO prides itself on being the first coffee shop to combine a coffee roastery and artisan sandwich deli. 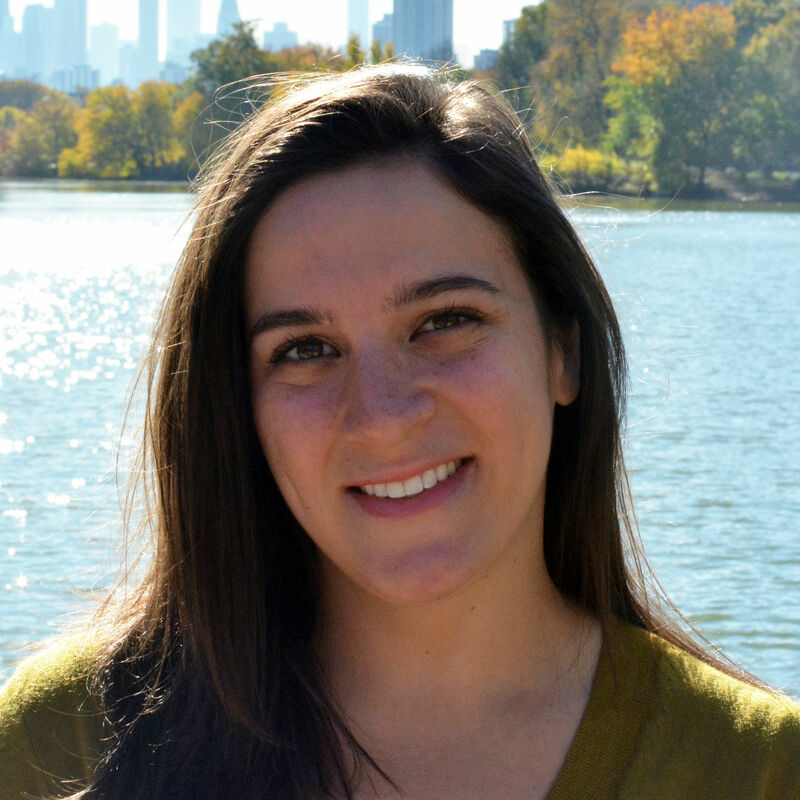 These baristas love all things coffee, so their coffee bars in the Loop, West Loop, Printer’s Row, Roscoe Village, Bucktown, and now in the Builders BLDG are just the places to bring your coffee questions (sandwich questions are fielded, too). 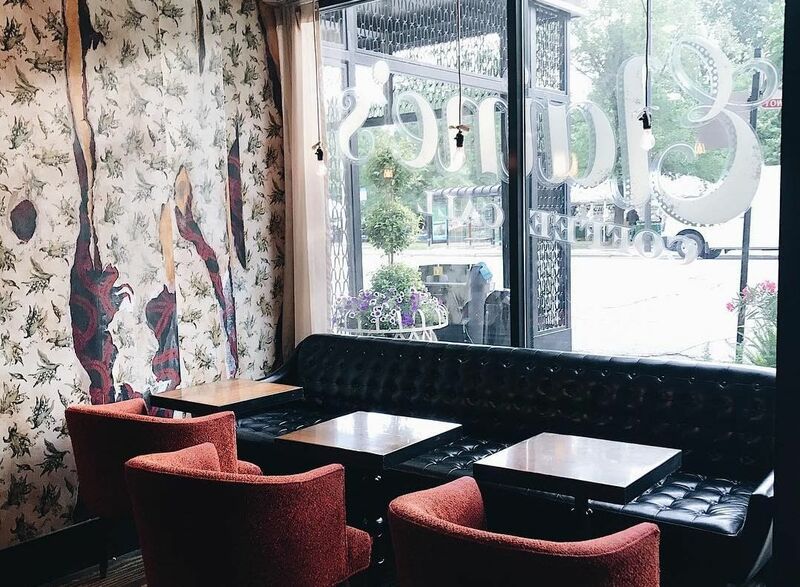 Managed by the acclaimed Boka Restaurant Group, this quaint coffee shop in the historic Hotel Lincoln serves La Colombe coffee. 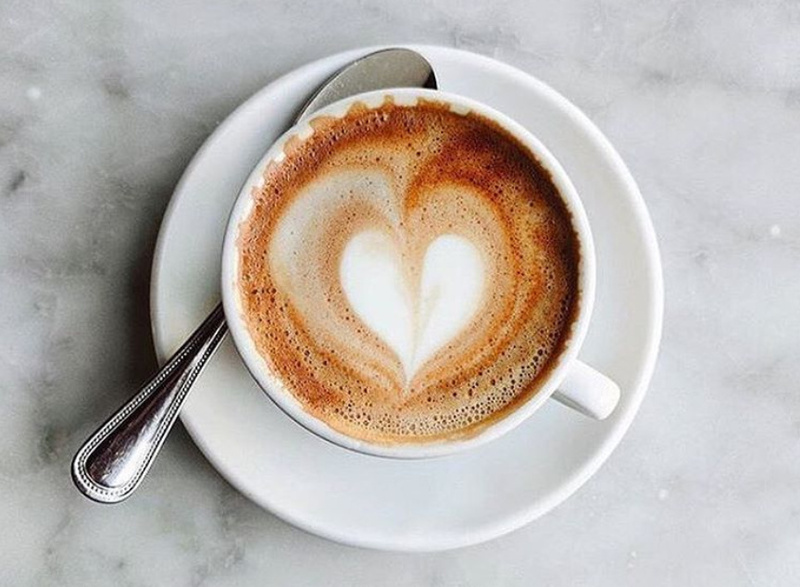 Enjoy coffee and treats within the vintage-inspired lobby of the hotel, or bring them across the street as you explore the nearby Lincoln Park Zoo or Green City Market (it takes place right out front in the summer months). Want to be in the center of the craft coffee movement? 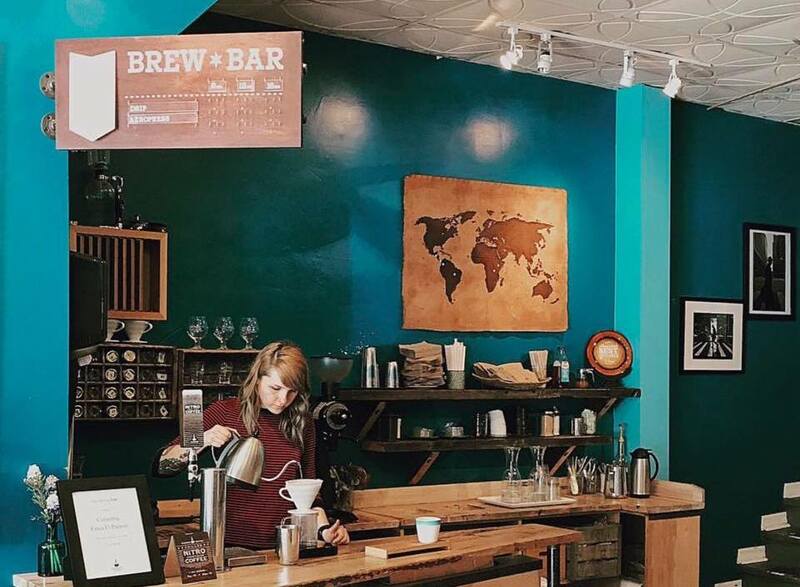 Hit up one of the coffee bars managed by local roaster, Dark Matter. 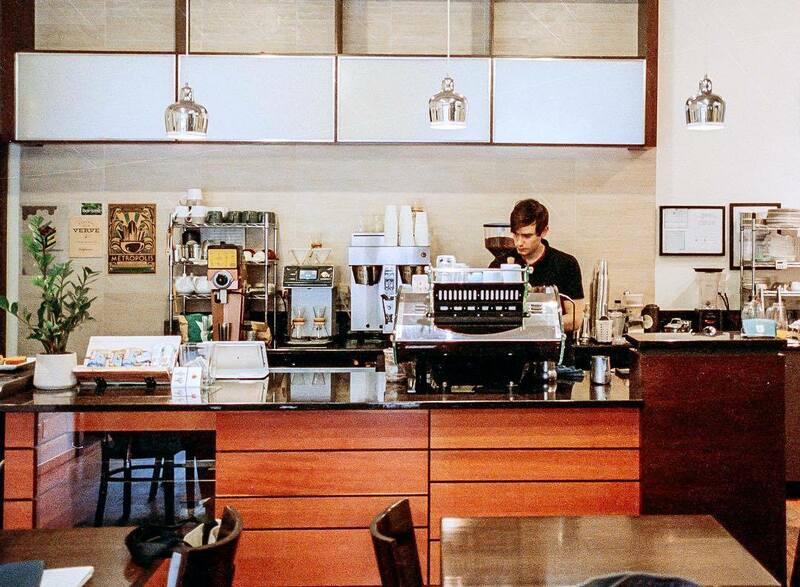 These funky spaces are home to knowledgeable baristas who happily share their coffee-mastery. Star Lounge, the OG, is in Ukrainian Village, right near Dark Matter’s roastery — The Mothership. But you can also get your quality coffee fix at Osmium in Lakeview and the brand new Meddle Coffee Bar on West Jackson Blvd. And with the good music, cool atmosphere, and unlimited free refills, you’ll probably end up staying all day. 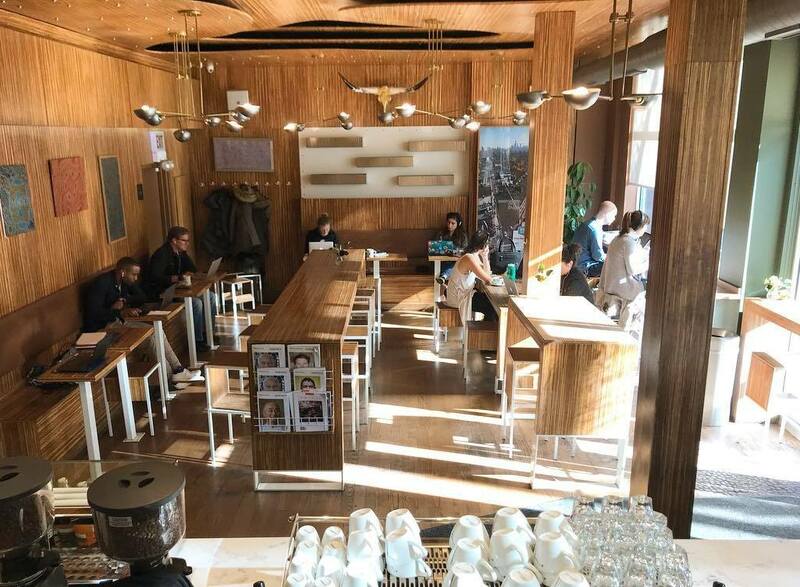 A mecca for all coffeeshop junkies, this Bridgeport coffee shop is a tempting visit for the sake of its artsy interiors and peaceful outdoor seating. But what makes it really special is its creative drinks: From s’mores mochas to horchata-espresso mixes, there’s always a fun way to get your caffeine fix. 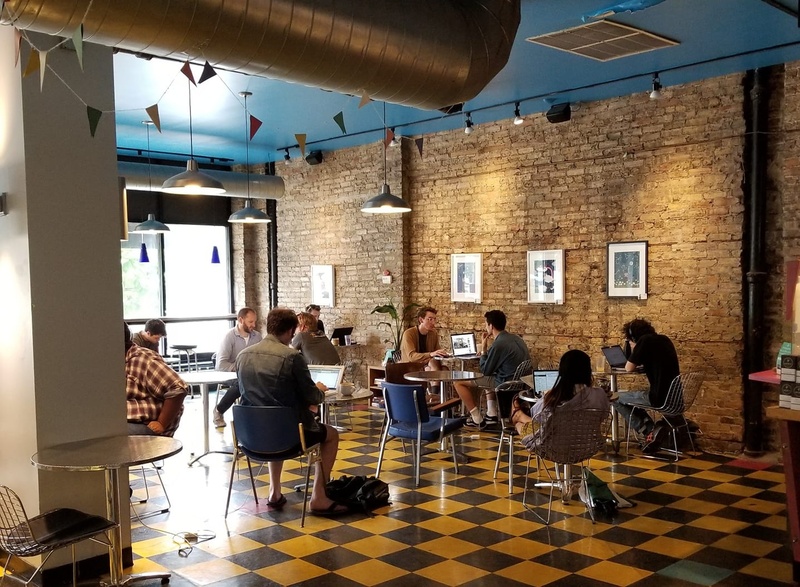 With rich wood interiors and a huge patio in the center of bustling Wicker Park, this independently-owned coffee shop is undeniably cool. Talking about cool, it’s one of the first shops in the city to offer cold-brewed coffee or “cold brew” as the cool kids call it. Customers can also enjoy blends and from single-origin beans that were roasted in-house, as well as cold-pressed juices from Time Machine. If Gaslight is hipster, we guess we’d call New Wave punk. 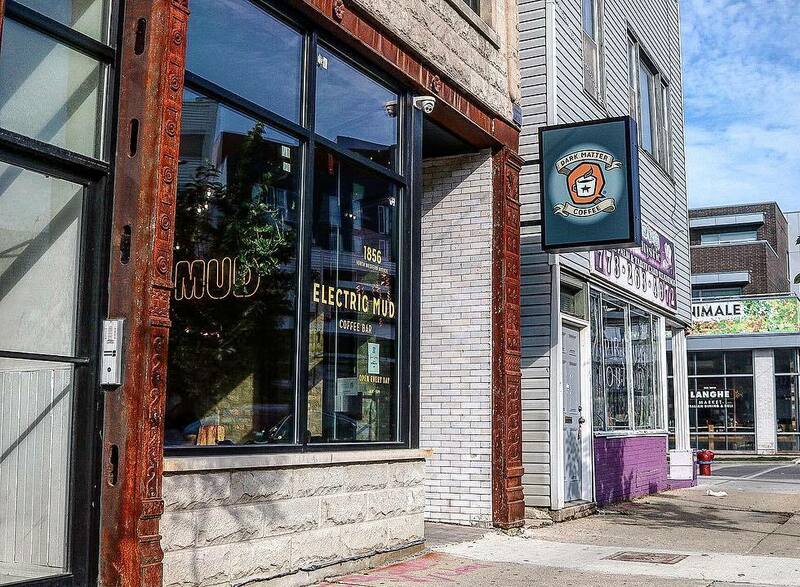 Serving another popular Logan Square demographic, this spacious shop is filled with broken-in couches, DIY posters for upcoming events, and colorful artwork. 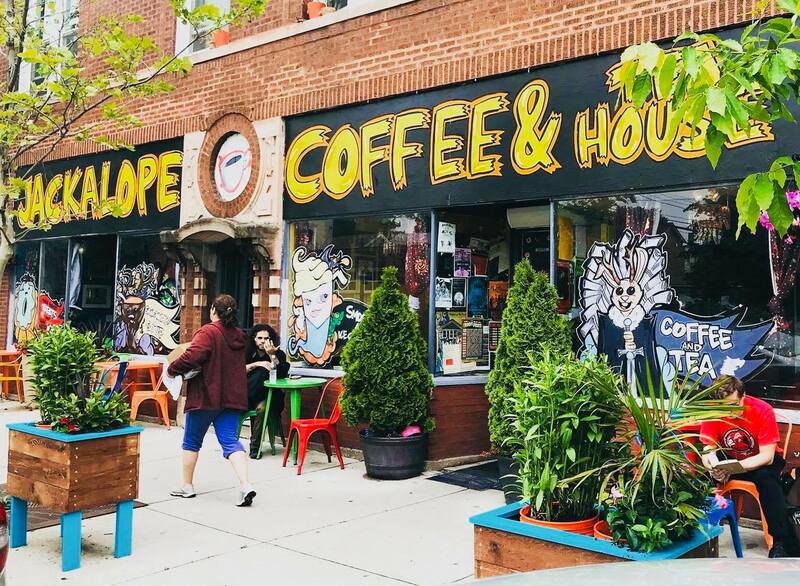 Despite the devil-may-care vibe, this place serves up great coffee from Metropolis and offers refreshing outdoor seating that looks over Logan Boulevard. This independent coffee shop in the industrial-chic Fulton Market District has the laid-back urban vibe of its surrounding neighborhood. Think tall ceilings, exposed brick walls, painted wood windows, and funky extras (like an aquarium!). Along with coffee, this place serves up classic cafe food like paninis, soups, and breakfast burritos. 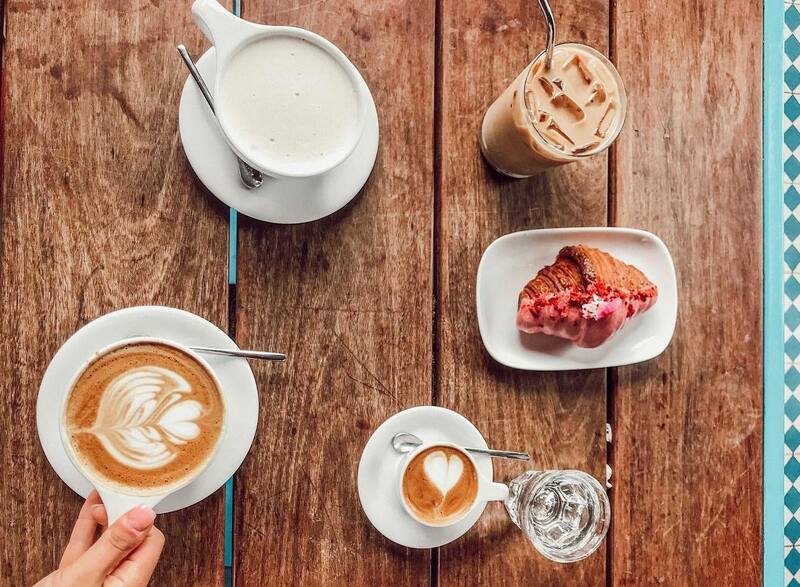 You’ve no doubt seen it on social media — Sawada is home to the Insta-famous Military Latte, made with espresso, matcha, and chocolate. Fueling the West Loop, Sawada shares a space with Green City Meats, so you can fulfill your caffeine and protein needs all in one go! 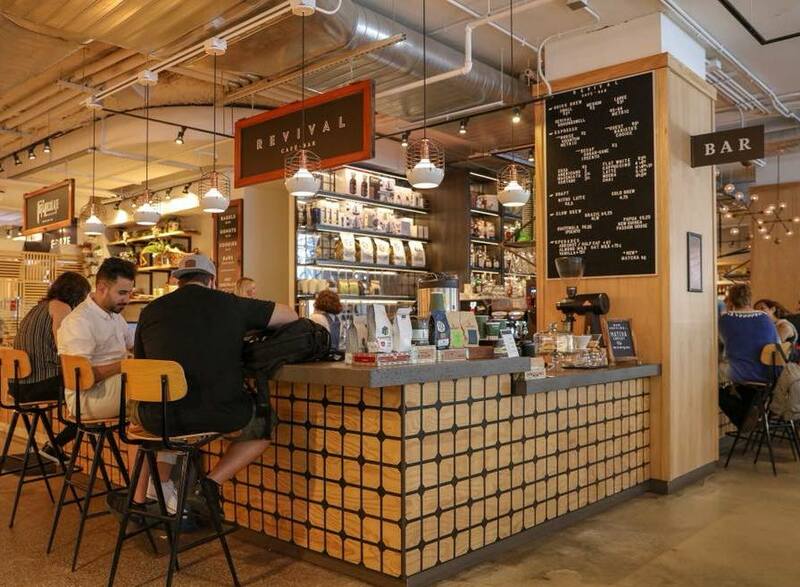 Revival Food Hall has it all, and that includes awesome coffee. While their drip options are great, the real standout is their iced latte on nitro tap. Yep, you read that right. Grab one of these silky smooth, light and fluffy lattes on those days you’re looking to treat yo’self. And since it’s on tap, it won’t even make you late for work. 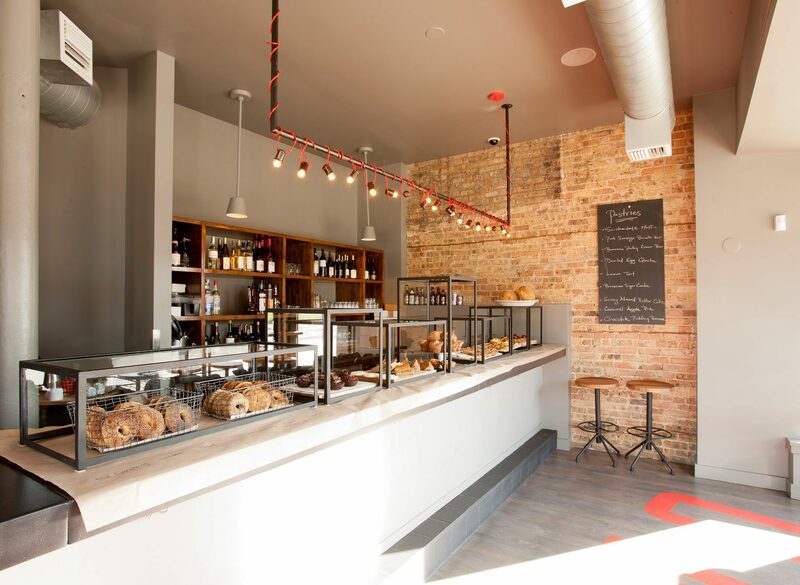 Chicago coffee snobs flock to Ipsento’s Bucktown storefront. Why? 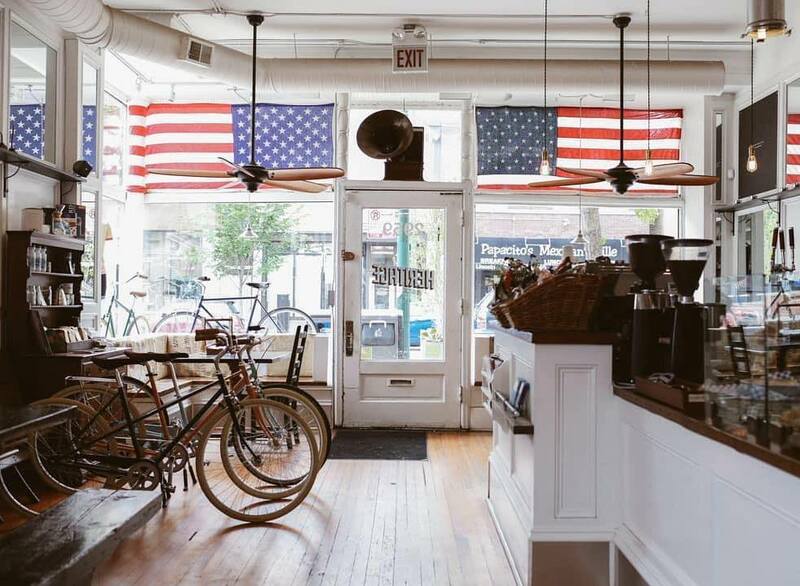 This cozy little shop is home to hip seating areas and some of Chicago’s most experienced baristas. You’ll also find classes if you want to learn more about those little brown beans. Hungry? Ipsento also offers sandwiches named after famous authors. We like the Emily Dickinson, which includes hummus, cucumbers, peppers, and other veggies on pita bread. Plus, their location off the 606 means you can grab a cup after you hit the trail. Need your bike tuned-up and also craving a great latte? Heritage in Lakeview and the two outpost spots in Uptown have you covered on both fronts. 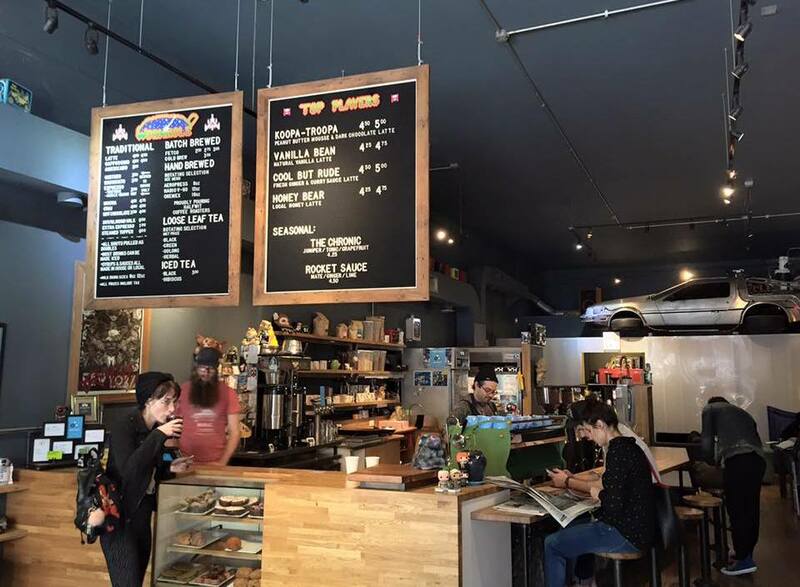 Part coffeehouse, part bike shop, Heritage is a favorite for neighborhood resident coffee-lovers and bike aficionados alike. When owner Eleazar Delgado opened this Pilsen cafe over two decades ago, he wanted to provide sandwiches and coffee in an area that was mostly dominated by tacos. People thought he was crazy, but his bites and coffee are more popular than ever. Spend some time in this quirky, colorful cafe and check out the rotating artwork that dots the walls. Try the black bean burger for a healthy but special treat. Snazzy digs, amazing toasts, and gold paper straws? Count us in. Beloved Chicago-based coffee roaster Limitless’ new cafe in the Marlowe apartments in River North (joining their flagship in Fulton Market) is stunning, and the coffee and eats are fantastic, too! 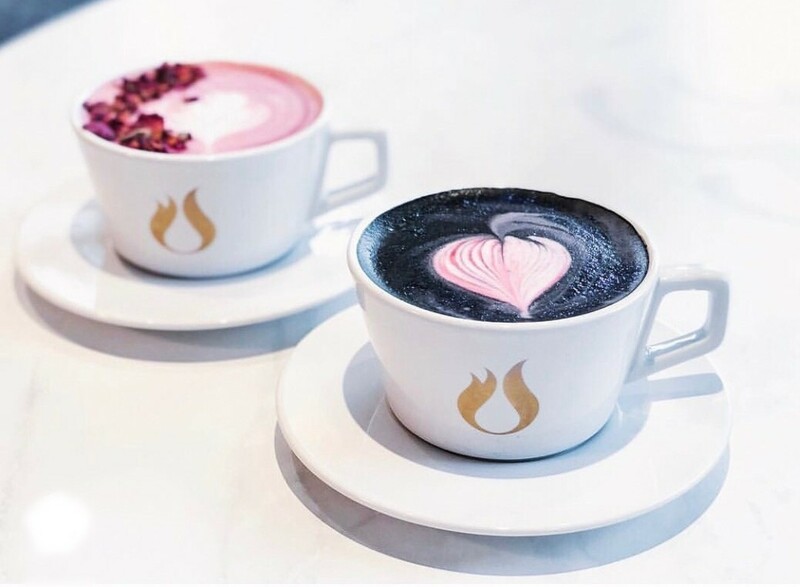 The menu, riddled with unique options like charcoal lattes and oat milk, is perfect for when you need a quick cup on the go or want to make an event of your coffee run. Milwaukee-based Colectivo certainly knows how to make an entrance! 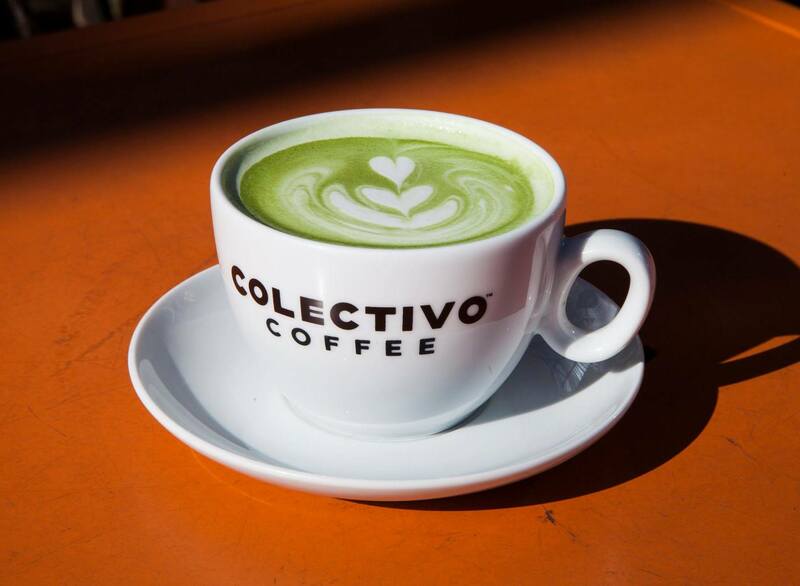 With not a pair, but four locations that often feature sprawling outdoor patios, beers on tap, and, of course, delicious coffee, Colectivo is well on its way to becoming staple in its Lincoln Park, Logan Square, Evanston, and Andersonville homes.